The Kinesio Tape Therapy, developed by Dr. Kenzo Kase over 25 years ago in Japan, has quickly become the gold standard for therapeutic rehabilitative taping. The proprietary method of taping uses a uniquely designed and patented tape for treatment of muscular disorders, as well as lymph edema reduction. Kineseo Taping ® involves taping over and around muscles in order to assist and give support or to prevent over-contraction. 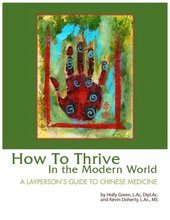 It affects the activation of the neurological system, the body’s information processor, and the circulatory system. Muscles, crucial for body movement, also control among other functions, the circulation of venous and lymph flows and body temperature. The failure of the muscles to function properly, therefore induces various kinds of symptoms. This method and tape allow the individual to receive the therapeutic benefits 24 hours per day with both comfort and ease, because each application can be worn for several days. 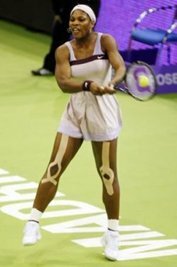 Kineseotaping (R) has been used by a variety of professional athletes, including the women’s volleyball team at the summer Olympics, the US Cycling team, and star tennis players as well.